Takeaway: It’s taken quite some time, but Netflix streaming video has finally arrived on the Ubuntu Linux desktop. In this easy, step-by-step, Jack Wallen shows you how. But, if you want streaming Netflix on your Linux desktop… you’ve no choice. When it comes to Hollywood, DRM is not going anywhere… ever. The installation of Netflix on Ubuntu isn’t hard. In fact, it’s quite easy. It does, however, take some time. At this point the Netflix Desktop application will open in full screen mode. To get out of that mode, hit F11. You will also find a new Firefox icon on your desktop. You can delete that if you like. That’s it. You are now ready to enjoy streaming Netflix on your Ubuntu Linux desktop. 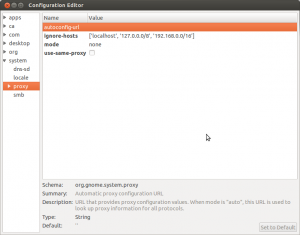 Ubuntu 12.04 comes with shiny graphical tool to setup system wide global proxy. But as seen in the picture below there is no way to add exception or ignored host. To overcome this limitation we have to install dconf Editor. You can install by clicking the previous link or by typing sudo apt-get install dconf-tools in terminal. Please note that though the software is call dconf editor its packaged as dconf-tools. 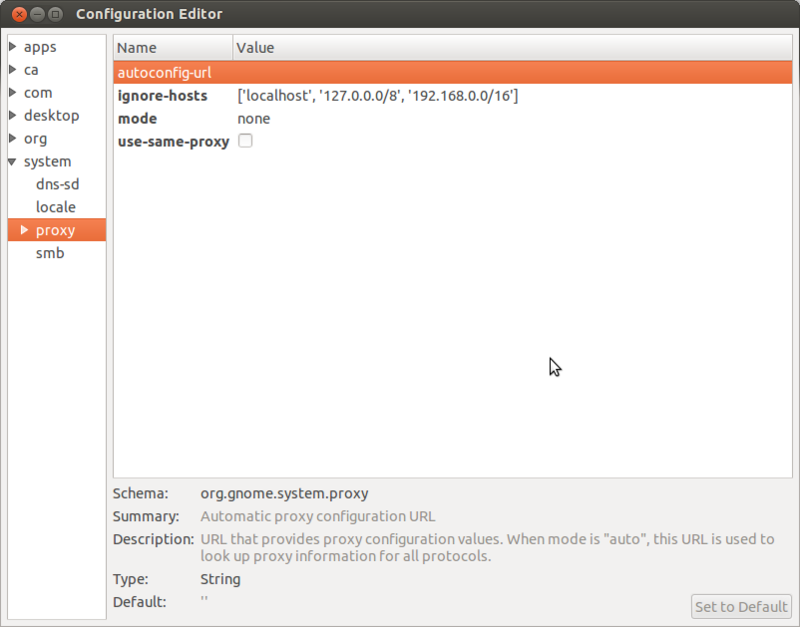 Once installed open dconf editor and navigate to system -> proxy. From here you can add ignore-hosts as string and as seen in the picture below. You may need to log out and log in for the changes to take effect… just to avoid any noise!